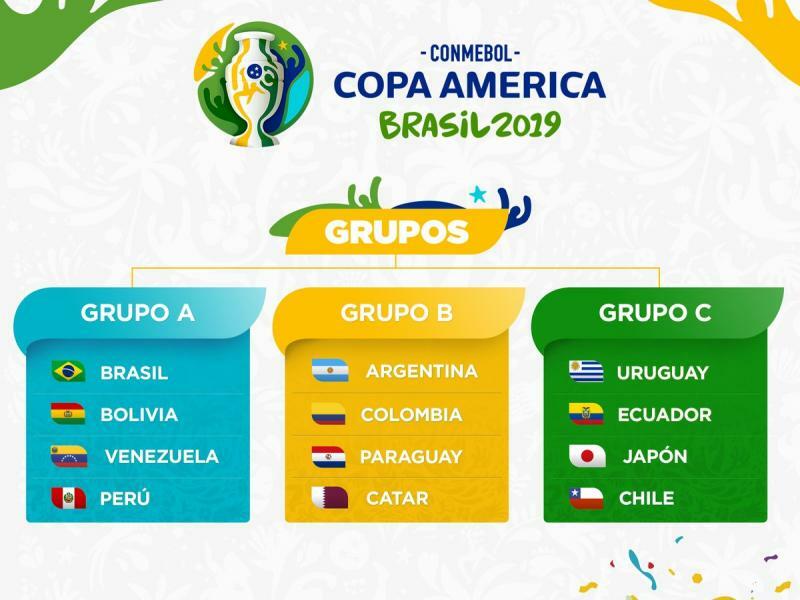 Rivals Brazil and Argentina have been separated from each other in the Group stage of the 2019 Copa America in a draw conducted on Thursday. Hosts Brazil has been placed in Group A, where they will face Bolivia, Venezuela and Peru with Argentina landing in Group B with Colombia and Paraguay, as well as World Cup hosts Qatar, who have been invited to take part for the first time. Qatar's fellow guests Japan are in Group C alongside Ecuador, Uruguay, and Chile, who is seeking a third consecutive triumph having beaten Argentina in the last two finals.